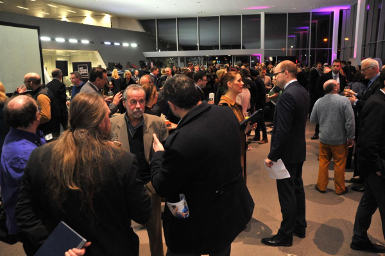 A great launch event was held on Tuesday 24 January, attended by some 350 businesses. 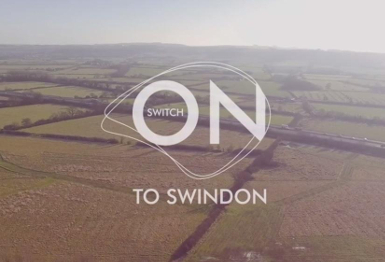 It marked the culmination of much hard work to date, but as importantly the start of a journey to demonstrate Swindon in the true light that it deserves: Switch on to Swindon. Swindon is a town, indeed an ‘economic city’, that is one of the most productive in the country. With a huge increase in new businesses and fast growing companies - it is an economy on the move. Couple that with the unquestionable location and communications network; Swindon is the envy of many other towns and cities across the UK. Switch on to Swindon is a brand new initiative that is supported by Swindon Borough Council and lead by the private sector. It aims to demonstrate to residents and investors alike that Swindon is a great place to live, work and do business. 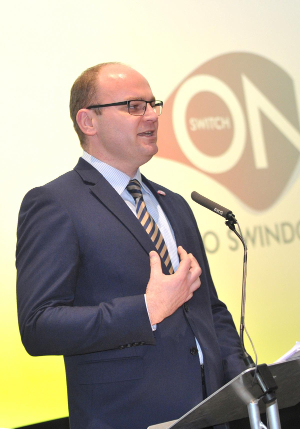 The Switch on to Swindon campaign is designed to highlight the strengths of the Borough and to enhance the perception, which all too often focuses on the negative. Effectively marketing Swindon to external audiences to build positive recognition, its aim is to attract interest from those looking to relocate a business, invest in the area or move house or job. It will be built around a Place Board, made up of business leaders operating with a private sector perspective and approach. 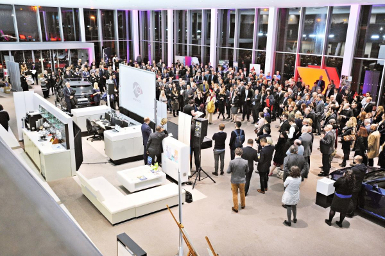 Vital to spreading a cohesive place brand and image is the creation of the Ambassador network, where a huge number of businesses have already signed up. 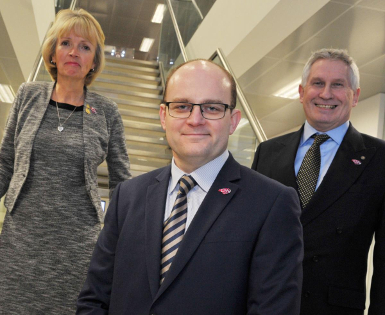 Left to right: Nicky Alberry - Swindon & Wilts LEP, Gavin Calthrop - Swindon Borough Council and yours truly! If there are two signs that demonstrate the pride that local business have in the town and local economy it is the enthusiasm at the launch event and the wish to become involved as the journey unfolds. Business West has been at the heart of the developments to date and will be a key contributor on the Place Board and in promoting the Ambassador programme. For further details please go to the website: http://www.switchontoswindon.com.